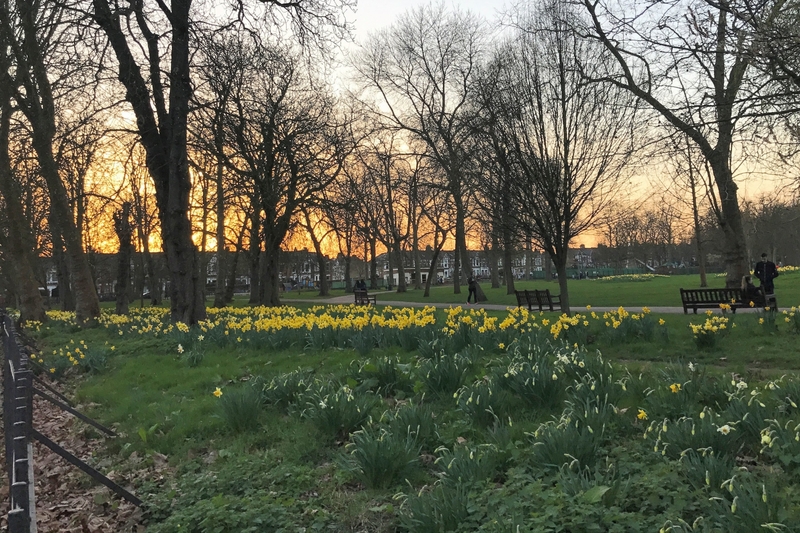 Queens Park Estate Area Guide - What makes Queens Park Estate so great? Where do Queens Park Estate locals go? 'Paradise By Way of Kensal Green', to give it's full name, is a British restaurant, bar and club all rolled into one. Don't miss out on the burger! Sit down with a glass of red, white or rosé and read the brand new book you bought from the local book store. Which other area In London can still be proud to have a charming independent local book store? I love my Caribbean food and Cocodelic is the best in the area; bare in mind we have a fair few restaurants around serving the same type of food. Share your favourite place to go to in Queens Park Estate. "The Greek revival chapel at Kensal Green cemetery is equipped with hydraulic lifts to take the deceased down to the catacombs, including such illustrious figures as Isambard Kingdom Brunel, WH Smith of the high street chain fame and perhaps most strangely General James Barry - who was discovered upon his death to have been a woman." I really enjoy this time of year around Queens Park where spring is vividly breaking into life! Lovely residential roads flanked by period homes and pretty green spaces make Queen's Park a desirable place to live. Just a short distance from Queen's Park, Kensal Green is well connected and known for its independent amenities, adding to its fashionable appeal. Car park on site. Easy access by bus(no 6/187). Big indoor hall. Do you live in Queens Park Estate, or have you lived in Queens Park Estate recently? If so, let us know what you like about living in Queens Park Estate. Feedback about living in Queens Park Estate has been submitted directly by the public and may not neccessarily reflect the views of Foxtons. The description of Queens Park Estate was modified from Wikipedia and is available under the Creative Commons licence. Land Registry data is Crown copyright. All the views and contributions contained within Foxtons Local Life are those of the contributors. All content is assessed before publishing for taste, however free opinion is encouraged. Foxtons accept no payment or sponsorship for content that is posted about Queens Park Estate.